Nairobi, Kenya…. October 29, 2017 – RippleNami, Inc., a provider of blockchain data visualization technology, is honored to receive its designation as a finalist for the 4th Annual AppsAfrica Innovation Awards. On 12 November 2018, RippleNami will join the winner’s stage alongside four other finalists including Medixus (Kenya), Orange (Democratic Republic of Congo), Flutterwave (Nigeria) and Vanu, Inc. (Rwanda/Zambia). This prestigious awards ceremony celebrates the best in class for mobile and technology across Africa. The Annual Innovations Awards receives submissions from 39 countries showcasing solutions launched across all 54 African markets by start-ups, established ventures, and corporations. Unsurprisingly, a majority of entries come from Nigeria, South Africa, and Kenya, and others from smaller markets including Malawi, Sao Tome & Principe, Mauritania, and Liberia. “The AppsAfrica Awards established in 2014, celebrates the crème of the crop in mobile and technology across the continent as many of these ventures lack the visibility and recognition their technologies deserve. This year produced a vast array of highly competitive entries from stunning new technologies utilizing AI, bots, and drones to mobile, health and education initiatives scaling across Africa,” shared Andrew Fassnidge founder of AppsAfrica.com. The awards supported by Uber, JET8¸ Syntonic and Mobile Monday South Africa (MOMO) provide winners with industry recognition, global publicity and networking with 300+ industry peers at the awards ceremony in Cape Town on 12 November, on the eve of AfricaCom. Category winners are also invited to Africa Tech Summit Kigali 2019 to join 400+ tech leaders from across the continent. RippleNami recognizes that people empowered with real-time and easily accessible information around the world can connect and drive unimaginable change. RippleNami is redefining blockchain and mapping with the first visualization platform that consolidates big data and provides consumers with the information that matters most. This cost-effective, device agnostic, cloud-based platform delivers millions of actionable data points on an intuitive map that enables critical decision-making and enhanced collaboration for enterprises, nonprofits, and foreign government agencies. With seamless integration, limitless customization and scalable architecture, RippleNami allows people to chart their world, streamline communications and improve operational effectiveness. For more information visit: www.ripplenami.com. 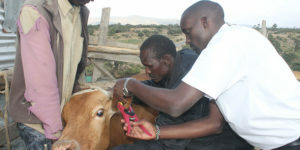 Nairobi, Kenya – 29, May 2018 – A strategic partnership between Kenya Veterinary Association (KVA) and RippleNami, Inc. with support from the Directorate of Veterinary Services and a local bank, delivered the country’s first real-time, livestock identification and traceability programme, starting in Kenya’s arid and semi-arid counties. RippleNami, a leading provider of a blockchain data visualisation platform, is enabling the identification and tracking of individual cattle and its ownership, real-time mapping of livestock diseases and geo-position, along with capturing critical livestock biodata to its web-enabled database. Launching this programme addresses long-standing challenges such as disease control and surveillance and traceability, drug residues in animals and animal products, insufficient health and food safety hygiene standards and systems, among others. Through this innovative partnership, livestock producers are capturing essential data on husbandry including feeding, vaccinations, and treatment. These producers are now empowered to access improved markets, insurance services and credit facilities with their livestock enterprises as the collateral, control livestock movement and husbandry management. With RippleNami’s end-to-end solution, banks are now positioned to offer cattle owners micro-lending privileges and sustained financial support. In less than 60 days, the first phase of this Livestock Identification and Traceability initiative reached its registration objectives of 40,000 cattle, 702 owners, and 381 premises. “We are thrilled to be selected as the trusted partner by innovators like KVA and Directorate of Veterinary Services” stated Phil Gahn, chief business development officer and founder of RippleNami. “Because the RippleNami real-time data capture and visualization application are completely self-service, any organization can capture, visualize and track sensitive data assets within days of installation. By combining the intuitive visualisation of big data with cloud-based, blockchain technology, emerging economies are leveraging RippleNami’s proprietary technology to map vital geo-assets, generate new economic transactional exchanges while accessing a uniform data platform for their electronic data infrastructure build out. RippleNami recognizes that people empowered with real-time and easily accessible information around the world can connect and drive unimaginable change. RippleNami is redefining blockchain and mapping with the first visualization platform that consolidates big data and provides information that matters most to its users. This cost-effective, device agnostic, cloud-based platform delivers millions of actionable data points on an intuitive map that enables critical decision making and enhanced collaboration for enterprises, nonprofits, and foreign government agencies. With seamless integration, limitless customization and scalable architecture, RippleNami allows people to chart their own world, streamline communications and improve operational effectiveness. For more information about RippleNami, visit www.ripplenami.com. Since the Association’s inception in 1966 and subsequent registration as an Association in 1967, it has expanded in terms of membership as well as diversity, ranging from basic animal welfare to quality assurance of veterinary professional services and overall leadership in the Animal Resource Industry where members are responsible for certification and technical competence. Successive office bearers have volunteered their time and resources to ensure the achievement of the Association’s goals and objectives in areas including research, disease management, in spite of funding and human resource capacity challenges. The association is focused on rallying the membership to provide leadership in the livestock sector towards the achievement of a food secure nation as well as wealth creation among the livestock farming communities. For more information about Kenya Veterinary Association, visit www.kenyavetassociation.com. 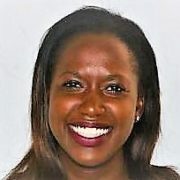 Nairobi, Kenya – April 25, 2018 – RippleNami, Inc., a provider of blockchain data visualization platform, announces its East African Development Director, Joyce Jerotich Yegon, will speak at The School of Business and African Women Studies at Nairobi University located on Kabete Campus on 25 April 2018. Hosted by Professor Bitange Ndemo, this event will address members of the Women Entrepreneurs Training and Incubation Program. Yegon is an influential leader who has been instrumental in championing the most advanced digital Livestock Supply Chain Management solution throughout Kenya. Yegon will address the challenges women farmer’s face and how RippleNami’s technology platform can convert these historic challenges into a sustained profit center and higher standard of living for their families. Historically, these women farmers suffer from a multitude of market and cultural disadvantages that stem from a lack of land size and ownership tenure; authority on crop selections; market pricing indicators; and accessibility to capital resources necessary to fund and scale operations. Using RippleNami’s technology, small scale women farmers are empowered to forge partnerships, enterprises, cooperatives and/or farmers associations to leverage greater buying power and lease more land or cultivate their individual land parcels more profitably. These women can be locally trained on state of the art irrigation techniques and farming technologies, hands-on training during the planting, growing and harvest seasons, around fertilizer, pesticide, and herbicide applications, protection decisions, weed identification, marketing of field crops as well as bookkeeping and crop Insurance. All these aspects will assist in increasing the volume of crops while sustaining supply and improving crop field quality. These combined elements enable buyers to provide the critical contracts for women farmers. By mapping all the women merchants and their buyers (schools, prisons, hospitals, supermarkets, and processors) they are then empowered to strategically sell to the geographically desirable buyers and at a competitive price. The ultimate advantage that will drive the greatest value for women in Kenya is that by controlling their land, crops and supply chain through RippleNami’s platform, women farmers become part of their country’s economy and control their future. RippleNami recognizes that people empowered with real-time and easily accessible information around the world can connect and drive unimaginable change. RippleNami is redefining blockchain and mapping with the first visualization platform that consolidates big data and provides information that matters most to its users. This cost-effective, device agnostic, cloud-based platform delivers millions of actionable data points on an intuitive map that enables critical decision-making and enhanced collaboration for enterprises, nonprofits and foreign government agencies. With seamless integration, limitless customization and scalable architecture, RippleNami allows people to chart their own world, streamline communications and improve operational effectiveness. For more information about RippleNami, visit www.ripplenami.com. San Diego – April 5, 2018 – RippleNami, Inc., a provider of blockchain data visualization platform, announces its Founder and Chief Business Development Officer, Phil Gahn, will join as a featured guest on Sovereign Hero AMFM 247 radio program on Saturday, 7 April 2018. Hosted by Eddy Taylor, this online radio broadcasting station is dedicated to connecting the world of blockchain with the pioneers of a new era of finance through crypto currencies. Gahn will reveal the horsepower behind RippleNami’s technology platform and how its converting Africa’s development challenges into prosperity and furthering its sovereign powers. Despite billions each year in global development investment and humanitarian aid, few Africa economies have been measurably elevated. And yet a clear majority of these countries are immensely rich in resources and most importantly in untapped human capital. RippleNami is working to disrupt this historical trend by working with these country’s governmental leaders towards establishing greater sovereignty. By identifying each country’s citizens, quantifying their collective assets and enabling a tax collection system through RippleNami’s blockchain platform, taxpayers in effect become shareholders in their country’s economic performance collectively referred to as Smart Country. RippleNami recognizes that people empowered with real-time and easily accessible information around the world can connect and foster unimaginable change. RippleNami is redefining blockchain and mapping with the first visualization platform that consolidates big data and provides information that matters most to users and organizations. Its cost-effective, device agnostic cloud-based platform delivers millions of real-time actionable data points on an intuitive map to customers across enterprises, nonprofits and foreign government agencies that are enabling critical decision making and enhanced collaboration. With seamless integration, limitless customization and scalable architecture, RippleNami allows people to chart their own world, streamlining communication and improving operational effectiveness. For more information about RippleNami, visit www.ripplenami.com. Every Saturday join the cutting-edge conversation with your host, Eddy Taylor and his great guests, connecting the synergy points of an ever-expanding world of crypto currencies and the heroes pioneering a new era of finance, in virtually every industry. They share emerging crypto technologies and bring on Heroic guests offering their analysis and PIECE… of the new financial system that frees you from the “Matrix” and finally brings prosperity & Sovereignty to all! They are also following the Sovereign Hero Crypto Currency backed by the Innovative Bitshares network. AMFM247 combines the best of AM and FM radio into one channel. Published: February 28, 2018 by Staff Contributor of The Douglas Review…… Of all the major developments of the Information Age, data visualization has been one of the most significant. Edward Tufte, a prominent American scholar who has been studying examples of data visualization since they first appeared on cave paintings of the Paleolithic period, has said that science and art have something in common: they both seek to develop strategies of visualization, to show information in smart manners that everyone can understand. RippleNami, a tech firm that seeks to develop smart blockchain solutions that do not necessarily involve cryptocurrencies such as Bitcoin, is a firm believer in the empowering effect of data visualization and how it can be leveraged to improve quality of life in developing nations. RippleNami was named as a 2017 finalist of the AppsAfrica.com Annual Innovation Awards for its clever mix of digital mapping, Big Data and blockchain platforms. With RippleNami, data visualization starts with a map that users can display on their workstations, portable computers or mobile devices. 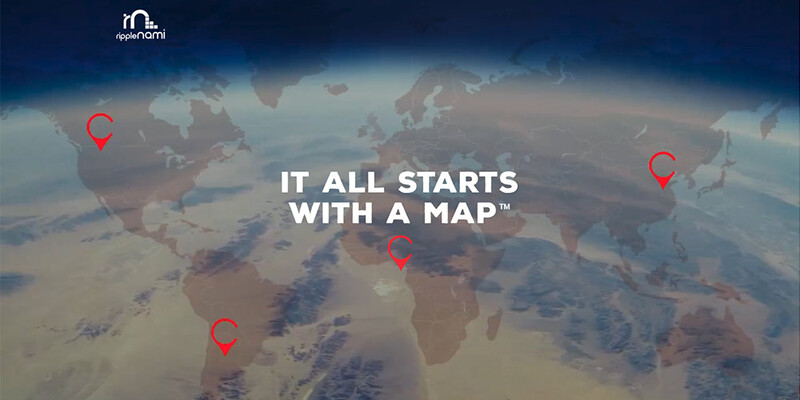 The digital map is a graphical metaphor that just about everyone can understand; from here on, RippleNami users can access real-time information about regions of the world that they are interested in. For users of apps such as Waze and Google Maps, the RippleNami interface will feel very familiar: selecting a point in the map will bring up relevant information, and in the case of Google Maps that information may include commercial districts, traffic, areas under construction, and traffic. With RippleNami, however, the information that can be obtained and visualized is a lot more in-depth. To a great extent, RippleNami is like the mapping applications in science fiction films where deep space explorers query supercomputers that can inform them about everything they need to learn about an alien planet: atmospheric conditions, geology, civilizations, chemistry, commerce, threats, and other data presented in real-time. 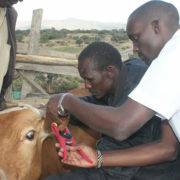 An example of how RippleNami works was announced in August 2017, when the Kenya Central Bank Foundation and the Kenya Veterinary Association retained the company to launch a program that will identify and trace livestock conditionsaround the country; the goal is to visualize real-time data to control and prevent livestock disease, and this can be accomplished by means of telemetry sensors as well as animal health reports compiled by veterinarians. The magic of RippleNami’s data visualization is based on being able to handle Big Data sets within a blockchain, which further enables collaboration between users who can also provide information and improve the overall experience. Although this is an American company, its focus is on Africa because developing nations stand to benefit the most from being able to access actionable insights from mobile devices. 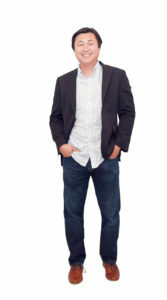 Aside from being recognized by AppsAfrica.com, the company has been racking up awards from prestigious business magazines such as Entrepreneur and CEO. Nairobi, Kenya – November 6, 2017 – RippleNami, Inc., a provider of blockchain data visualization platform, announces today that its Chairman and Chief Executive Officer Jaye Connolly-LaBelle will address the AfricaCom 20/20 Conference, sponsored by Microsoft, on Tuesday, November 7, 2017, in Cape Town, South Africa. RippleNami is a finalist in the 2017 AfricaCom Awards’ “Changing Lives” category hosted on Wednesday, November 8, 2017. This annual awards ceremony pays tribute to those companies with innovative solutions connecting and elevating Africa through its fourth industrial revolution. More than 13,000 attendees from companies, aid organizations and governmental agencies will convene and learn from Connolly-Labelle on how RippleNami’s technology platform is propelling Africa’s digital transformation and working to untangle Africa’s longstanding development challenges. Imagine a world where you have all the data most important to you right at your fingertips… a world where vast streams of data are visualized and easily understandable and actionable… a world where anyone with a mobile phone can access the full suite of benefits that this technology brings to its users. RippleNami’s imagination ran wild with its mission to connect 5 billion unconnected people and execute on its global vision of inclusion. And the race is on. RippleNami recognizes that people around the globe, empowered with real-time and easily accessible information, can connect and foster unimaginable change. RippleNami is shaping this revolution by redefining blockchain and mapping with the first visualization platform that consolidates big data while providing information that matters most to its users. It’s cost-effective, device agnostic cloud-based platform delivers millions of real-time actionable data points on an intuitive map to customers across enterprises, nonprofits and governmental agencies. By enabling critical decision making and enhanced collaboration, this seamless integration, unlimited customization and scalable architecture, allows RippleNami clients to chart their own world, streamline communications and improve operational effectiveness. This prestigious award falls on the 20th anniversary of AfricaCom and marks the 10th year of the awards program that’s amassing global significance. KNect365 announced Ripplenami, Inc. as one of the top twenty finalists across ten different categories and joins the winner’s stage with iconic brands such as Coca Cola and United Nations. RippleNami recognizes that people around the globe, empowered with real-time and easily accessible information, can connect and foster unimaginable change. RippleNami is shaping this revolution by redefining blockchain and mapping with the first visualization platform that consolidates big data and provides information that matters most to users and organizations. It’s cost-effective, device agnostic cloud-based platform delivers millions of real-time actionable data points on an intuitive map to customers across enterprises, nonprofits and foreign government agencies. By enabling critical decision making and enhanced collaboration, this seamless integration, limitless customization and scalable architecture, allows people to chart their own world, streamlining communication and improving operational effectiveness. For more information about RippleNami, visit www.ripplenami.com. Nairobi, Kenya – October 23, 2017 – RippleNami, Inc., a provider of blockchain map-based data visualization platform is designated a finalist in the 2017 AfricaCom Awards’ “Changing Lives” category. This annual awards program pays tribute to those companies with innovative solutions connecting and elevating Africa through its fourth industrial revolution. This prestigious designation falls on the 20th anniversary of AfricaCom and marks the 10th year of the awards program that’s amassing global significance. KNect365 announced Ripplenami, Inc. as one of the top twenty finalists across ten different categories and joins the winner’s stage with iconic brands such as Coca Cola and United Nations. RippleNami, is predicated on the notion that by taking its technology solution into developing countries the world would be forever altered. Founded on the need for an easier way to securely collect and visualize any data on a map, RippleNami’s team leverages its extensive experience working in developing countries. In the wake of so many organizations struggling with digital identification, asset tracking, supply chain, geo-location of basic resources such as water wells, healthcare, schools, contagious diseases, security issues and other critical information, the market need is severe. What makes RippleNami’s solution so unique is its ability to simplify blockchain and geolocation so that anyone – regardless of education – can easily obtain and enter information on a virtual map and enable enterprise-wide collaboration. Its ability to ingest any kind of data including blockchain and mapping makes it’s the preferred tool. RippleNami recognizes that people empowered with real-time and easily accessible information around the world can connect and foster unimaginable change. RippleNami is redefining blockchain and mapping with the first visualization platform that consolidates big data and provides information that matters most to users and organizations. It’s cost-effective, device agnostic cloud-based platform delivers millions of real-time actionable data points on an intuitive map to customers across enterprises, nonprofits and foreign government agencies that are enabling critical decision making and enhanced collaboration. With seamless integration, limitless customization and scalable architecture, RippleNami allows people to chart their own world, streamlining communication and improving operational effectiveness. For more information about RippleNami, visit www.ripplenami.com. AfricaCom is the largest and most successful technology event in Africa. The 20th edition of the annual event is set to be held from November 7-9 in Cape Town, South Africa. The AfricaCom Awards celebrate the achievements of the best companies, solutions, products and personalities improving connectivity and driving Africa through the fourth industrial revolution. The 3-day event which aims at promoting digital excellence in Africa, and will bring together tech giants, senior decision makers from the entire digital community to network, develop knowledge, showcase their latest solutions and technologies and gain inspiration from current industry trends and products. www.tmt.knect365.com/africacom. SAN DIEGO, Calif. … November 29, 2016 … RippleNami, Inc., a provider of a map-based data visualization platform accessed via the cloud, announced today that it has entered into an agreement with Linksoft Integrated Services (East Africa) Limited, a Kenya-based company providing a broad range of integrated services to the telecommunications, oil and gas, power, renewable energy, infrastructure management and technology sectors. Under the agreement, Linksoft will utilize RippleNami’s mapping solutions to provide integrated technology solutions for their customers. In this capacity, Linksoft and RippleNami will approach customers with an integrated visualization platform. “We are extremely honored to be working with Linksoft. This agreement is evidence that our presence and work in Kenya and East Africa is in fact impacting the region. We are confident that by assisting Linksoft with its customers, we will affect significant change throughout the region,” explained Phil Gahn, RippleNami founder and chief business development officer. 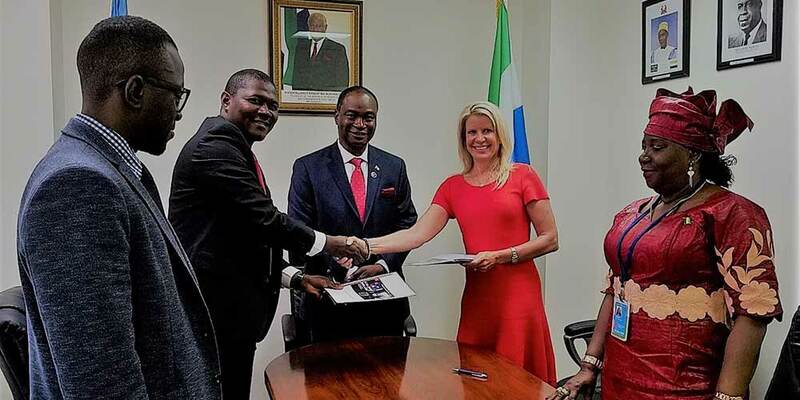 “This agreement is a testament to the success of RippleNami’s revolutionary mapping technology as well as the expertise of our Kenya-based team. Their hard work, contacts, perseverance and dedication is paying off as RippleNami continues to strive to truly make a difference by addressing and solving issues critical to that part of the world. 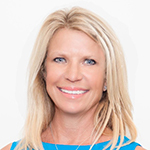 We are proud to partner with Linksoft in this regard to stimulate positive change,” said Jaye Connolly-LaBelle, RippleNami president and chief executive officer. 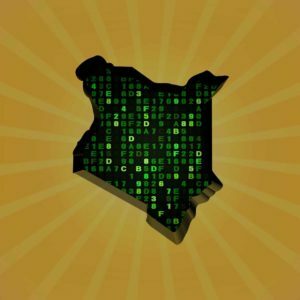 “Our partnership with RippleNami is a step in the right direction as we envision our company as one of the leading technology organizations in the region. This agreement will further strengthen our market position. 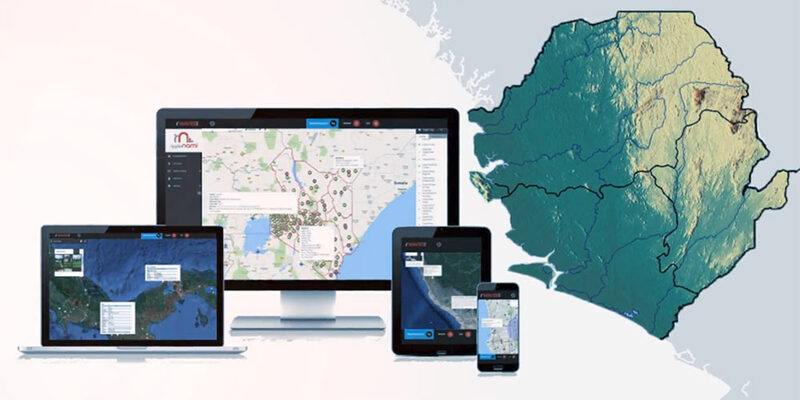 RippleNami’s mapping solution, which allows for real-time visualization of data, is directly in line with our own technology goal to deliver solutions that solves critical challenges for Linksoft customers. RippleNami’s disruptive mapping technology, coupled with our strategic focus, creates the right synergies for bringing our vision to life. We are excited about working together with RippleNami to make a difference throughout East Africa,” commented John Mukuno, Head-Technology, at Linksoft. Linksoft Integrated Services (East Africa) Limited is a Kenyan company committed to the delivery of exemplary project management services in the telecommunications, energy, infrastructure and technology sectors. As one of the growing innovative solutions companies in the region, Linksoft has teamed up with world-class suppliers who bring expertise in consulting, supplying and deploying efficient solutions across different spheres to the company. collaboration. With seamless integration, limitless customization and scalable architecture, RippleNami lets people chart their own world, streamlining communication and improving operational effectiveness. For more information about RippleNami, visit www.ripplenami.com.